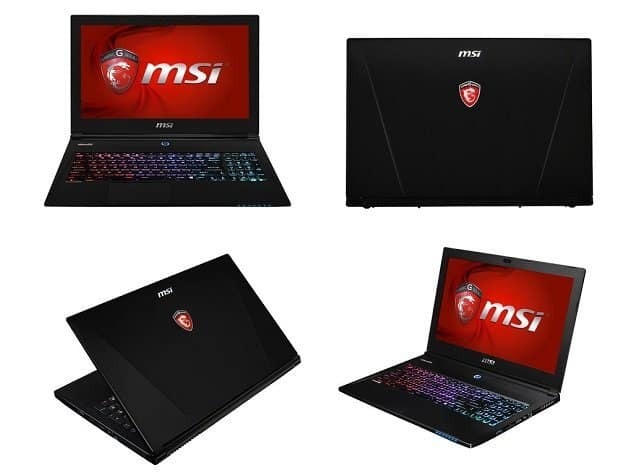 MSI launched another new gaming laptop in India, with three variants. MSI launched another gaming laptop in India called the MSI GS60 Ghost Pro, excluisvely available via the e-commerce site Flipkart. The price starts at Rs. 1,29,900 (though Flipkart lists the price of the base model as Rs. 1,16,235). It features a black magnesium-alloy chassis, and MSI is calling it as their ‘thinnest gaming notebook’. The notebook is available for pre-order and comes in three different configurations – GS60 2PE Ghost Pro, GS60 2PC Ghost, and GS60 2PL Ghost. The main difference between the three GS60 Ghost Pro configurations are their dedicated graphic cards.You can see the difference in the table below. The GS60 Ghost Pro series MSI gaming laptop runs Windows 8.1, and sports a 15.6-inch full-HD (1080×1920 pixels) anti-glare wide viewing angle display. It is powered by a fourth-generation 2.5GHz quad-core Intel Core i7-4710HQ processor (8 threads, 3.5GHz Turbo frequency, 6MB cache). It features 16GB of 1600MHz DDR3L RAM on the top-end GS60 2PE Ghost Pro variant, and 8GB of 1600MHz DDR3L RAM in the other two. The laptop comes with a 1TB 7200RPM HDD, though the top-end variant also features a 128GB SSD. It also features a full-HD webcam, a full-colour backlit SteelSeries keyboard, 4x2W Dynaudio speakers with 7.1 channel support, SPDIF output, and Creative Sound Blaster Cinema 2. On the connectivity front, the GS60 Ghost Pro series includes 3xUSB 3.0 ports, 1xHDMI port, 2-in-1 card reader, microphone port, Wi-Fi 802.11 ac (Killer E2200), and Bluetooth 4.0 options. The gaming laptop packs a 6-cell Li-Po battery that is rated to deliver up to 3 hours of battery backup. So, this is not a bad deal if you are a gaming freak. Check it out. All the variants are listed below.